I’ve been on a home decor roll lately. I think it’s a combination of the house genre TV shows I’ve been watching and having a lot of time to think and look around the house. 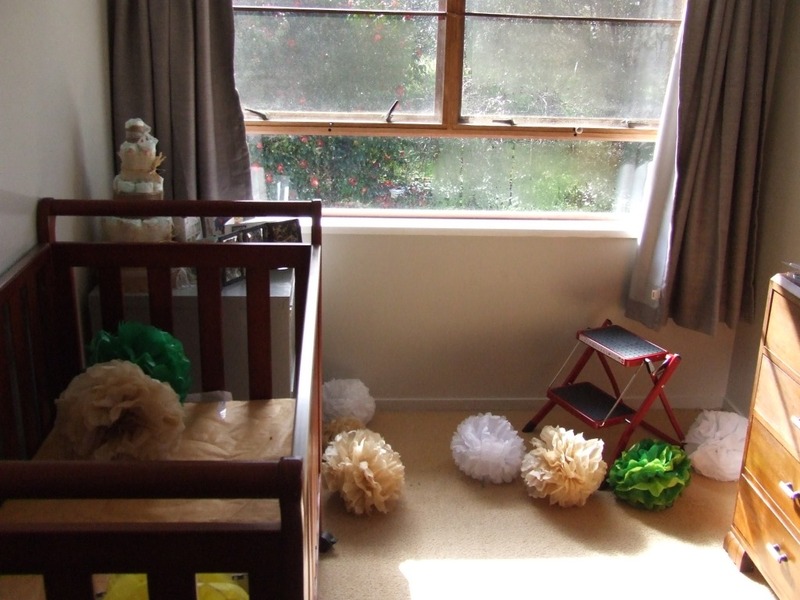 We had two bedside cabinets that were sitting around after being replaced, waiting to be put up for sale on Trade Me. 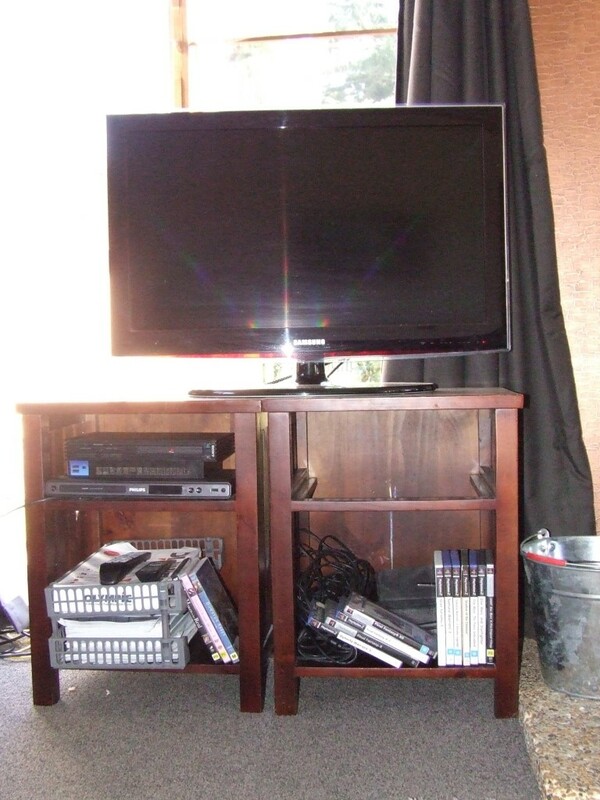 Then it occurred to me that I could re-purpose them by putting them together to turn into a TV cabinet, which we needed. 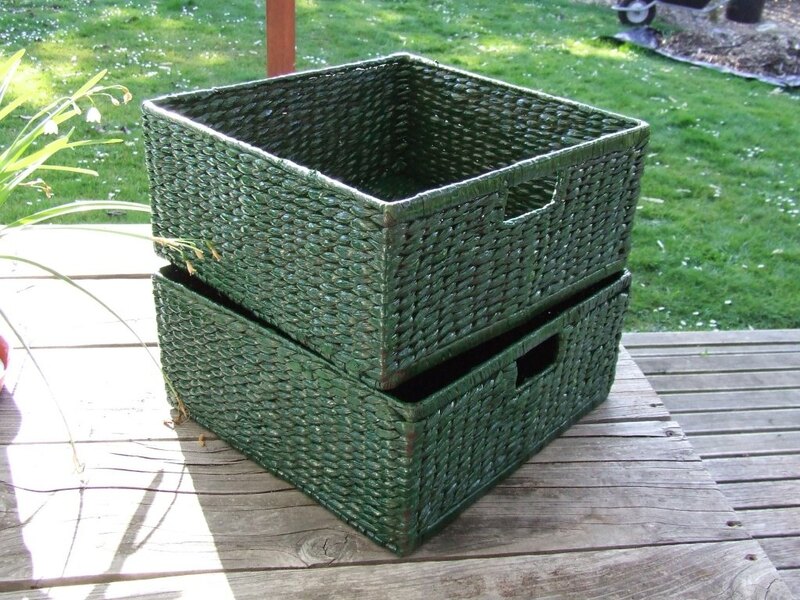 I took out the two woven seagrass drawers, which never looked very nice. Now all we need to do is make shelves to sit the consoles on and preferably some cabinet doors too. 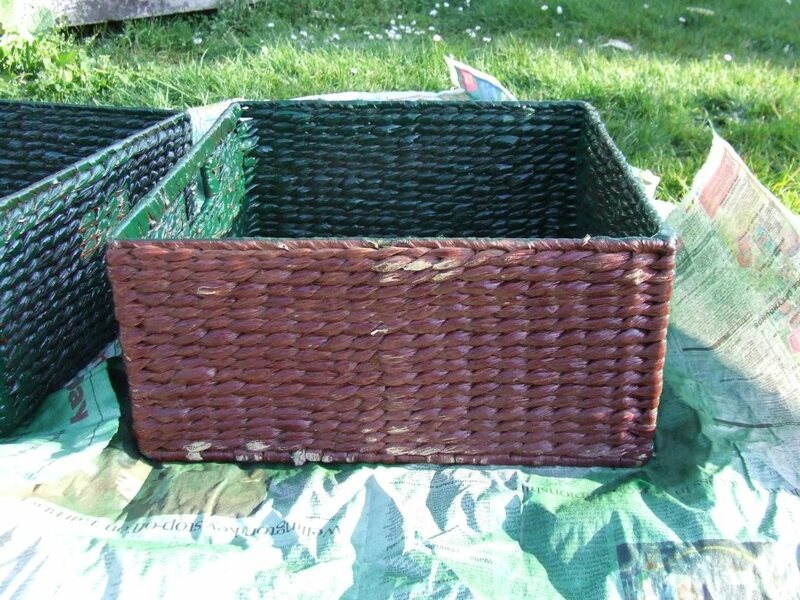 As for the woven baskets, I decided they could become storage baskets for Little Twiglet’s room, after a repaint. 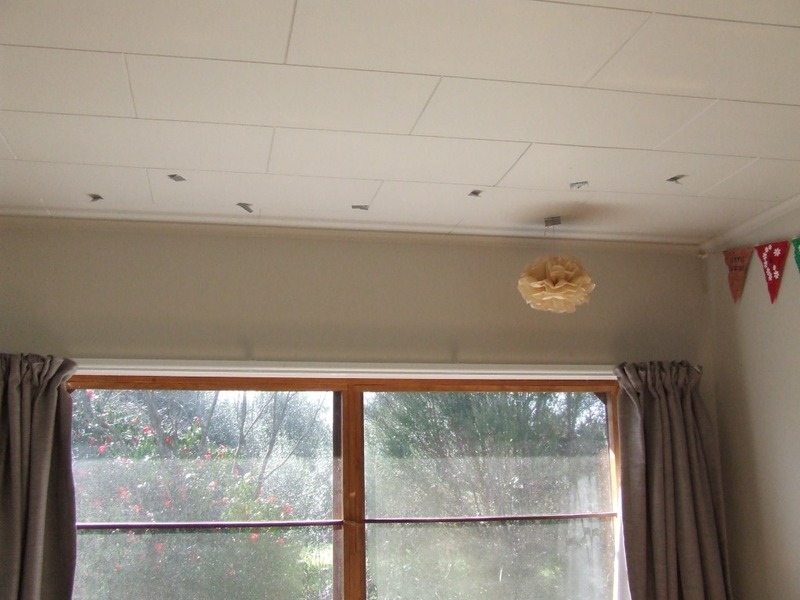 The photo below shows the reddish brown colour we painted them years ago, with the original natural buff colour starting to show through. I picked out a nice dark green spray paint from Bunnings, after vowing not to engage in illicit spraying activities. 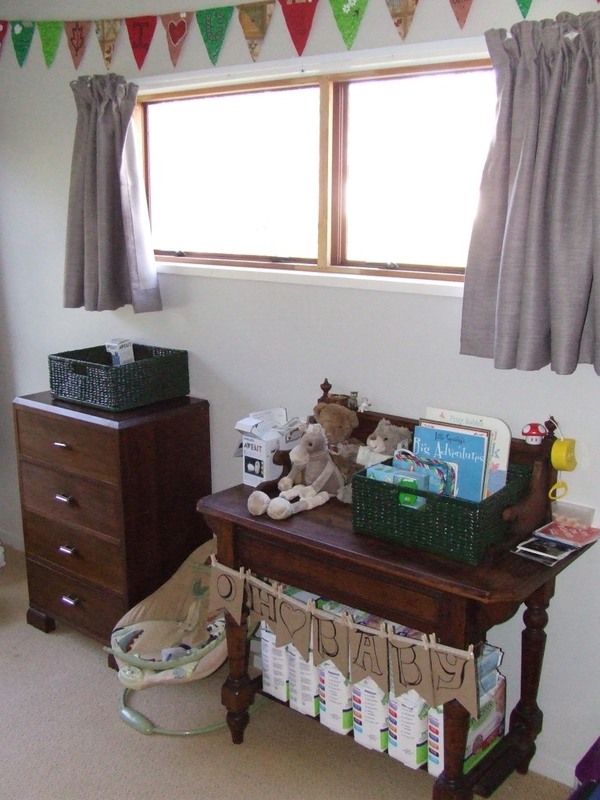 I was hoping both baskets would fit side by side on the wooden washstand in Little Twiglet’s room but they don’t. They can just be floating storage solutions for toys, equipment or whatever. Also, note the curtains that The Mother kindly shortened, re-hemmed and hung for me, and which are now the most well-hung curtains in the house. When we moved in there were no curtains or rod on this window and the curtains on the large windows were a ghastly bright concoction of orange-, yellow-, red-, blue- and green-patterned madness. 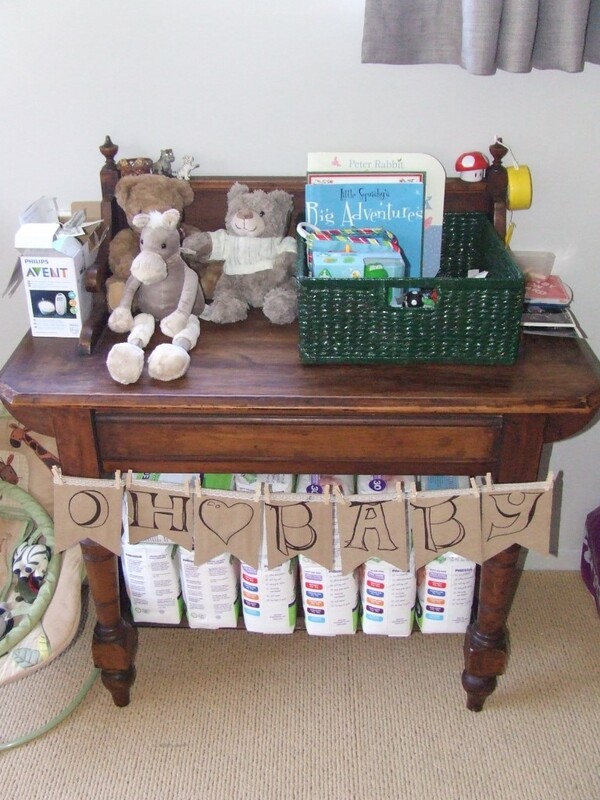 And also note the cardboard, lace and wooden peg bunting. This was made by The Sister-in-law for the baby shower and is now covering some of my large stash of 75% biodegradable nappies.